HEATWAVES and rising sea levels of more than a metre could threaten the UK in the coming decades if action is not taken to cut greenhouse gases, experts have said. 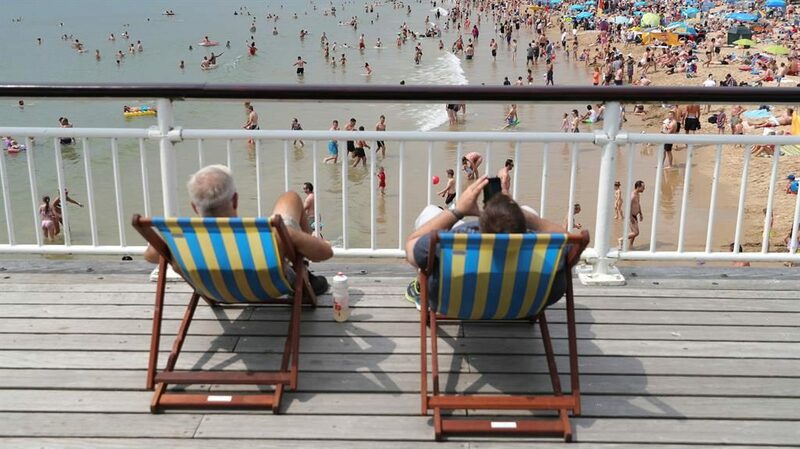 Summer temperatures could soar to 5.4C higher than current levels by 2070, while winters could be up to 4.2C warmer if fossil fuel pollution stays high, the new UK climate projections from the Met Office show. By mid century, summers as hot as this year’s weeks-long heatwave will be the norm, the researchers said. Rainfall could fall by almost half (47 per cent) in summer by 2070 but increase by more than a third (35 per cent) in winter. Sea levels affecting London, where the Thames Barrier is expected to be in use to protect the city until 2070, could rise by up to 1.15metres by 2100 if climate-warming emissions continue to climb. Even if emissions are cut in line with the Paris climate agreement to curb temperature rises to well below 2C above pre-industrial levels, sea levels could still be 29cm to 70cm higher in the capital by 2100. Cardiff is expected to have similar sea level rises as London, while in Edinburgh seas could rise by as much as 49cm if emissions are kept low and up to 90cm with high emissions. In Belfast, seas could be as much as 52cm higher with low emissions and up to 94cm by the end of the century with high levels of climate pollution. Even if the world manages to curb emissions in line with the Paris climate agreement, the projections show the UK’s average yearly temperature could be up to 2.3C higher by 2100. Launching the new report into how climate change will affect the UK, the first of its kind in almost a decade, environment secretary Michael Gove said no one could predict the future with absolute certainty. 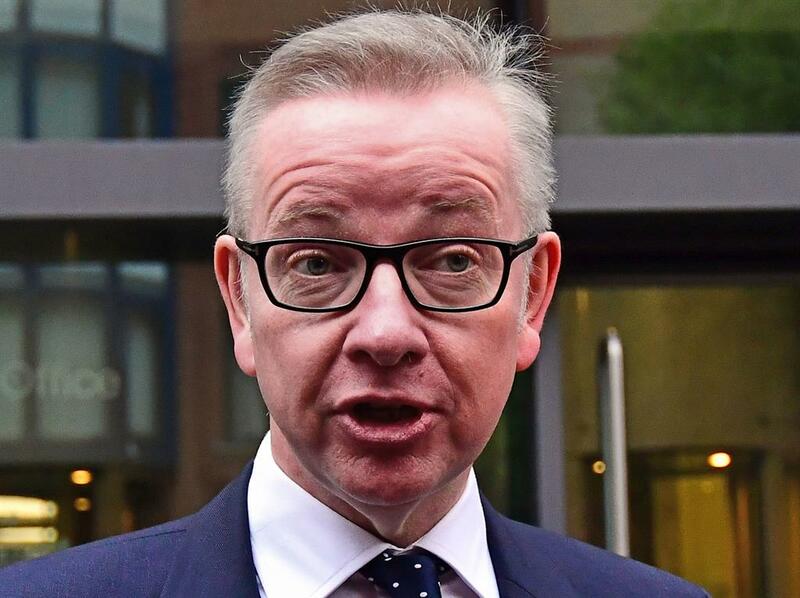 In his first major speech on climate change, Mr Gove — who during the EU referendum claimed the public has ‘had enough of experts’ — backed the scientists who had produced the projections. ‘In producing this first major update of climate projections for nearly 10 years, they have given governments, local authorities, land managers, national infrastructure bodies and other businesses an invaluable set of tools with which to assess the nature and scale of challenges, and take decisions accordingly,’ he said. 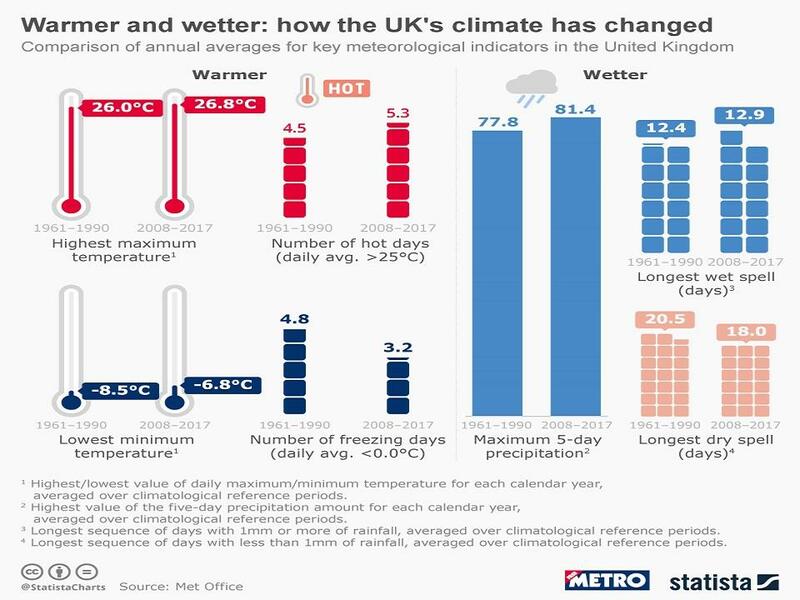 The environment secretary said the UK was already feeling climate-related extremes, including record wet winters in 2013-2014 and 2015-2016 which caused flooding, and this year’s heatwave which led to wildfires and damage to agriculture. He said that in the UK ‘climate change will manifest itself most acutely when it comes to water — the intense rainfall of the winter, the arid heat of the summer and rising sea levels will be how we experience climate change most immediately in our everyday lives’. He told the audience at today’s Science Museum launch event that officials were already factoring projected sea level rises into planning for flooding. Mr Gove said a new long-term approach would be needed to deal with flooding, warning ‘it will not always be possible to prevent every flood, we cannot build defences to protect every single building or reinforce every retreating coastline’. To tackle droughts, he said new policies would help drive the construction of new water infrastructure such as reservoirs. Farmers will receive payments to tackle climate change and boost productivity, from planting cover crops to protect soil to planting trees on agricultural land, while there will be measures to curb emissions from fertilisers. Mr Gove said there would be new strategies to repair peatland, protect and create woodlands, and tackle emissions from food waste. Overseas, the UK is giving another £13million to help restore protective coastal mangroves in places such as Jamaica and Colombia, he announced. The updated climate projections are launched on the 10th anniversary of the world-leading Climate Change Act gaining Royal Assent, committing the UK to cutting greenhouse gases by 80 per cent by 2050 — a target that is being reviewed to see if it should be strengthened.